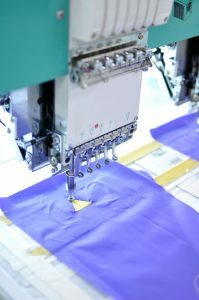 Why Your Company Logo Needs To Be On Your Uniforms | Ace Uniform Services, Inc.
Do you have your company logo somewhere on your employee uniforms? Logos are practically everywhere! It is next to impossible to drive anywhere without seeing a company logo. Whether it is on top of a restaurant, on the back of a car, or on a pedestrian’s clothing, company logo’s are prevalent in the world today. They are essential because they will benefit a business on a multitude of levels! If you are a company owner, here are a few reasons why your company’s logo needs to be on your uniforms! There are a few reasons why companies require their employees to wear uniforms. To begin, it makes a business appear to be more organized and professional. Logos will only help to achieve this! Also, they can help bring an entire outfit together! Sometimes, there are cases where an outfit does not match well. However, by including a logo, it will help tie the various articles together to create a more composed look! In most cases, a happy staff is a more productive staff! You should always try to find ways to create team spirit amongst your employees. Many people love knowing that they are apart of a team. For that reason, those same people tend to feel a sense of pride being able to wear articles of clothing that contains the company logo. It will also encourage employees to work together to achieve the company’s goals. How identifiable are your employees? This is an important question that business owners may need to ask themselves. This is because if a customer walks into a retail store and has a question, they should be able to find an employee to assist them without any problems. Sometimes, it can be challenging to identify employees if their uniform does not contain the company’s name or logo. It is also less intimidating for a customer to request assistance if they can see someone with a company logo on their attire. It also tends to make customers feel more at ease and that they can trust the individual helping them. Review on all the latest weight loss products. You may have seen Rapid Tone on Shark Tank , but does it really work? This entry was posted on Friday, October 13th, 2017	at 4:48 pm	. You can follow any responses to this entry through the RSS 2.0	feed. Both comments and pings are currently closed.